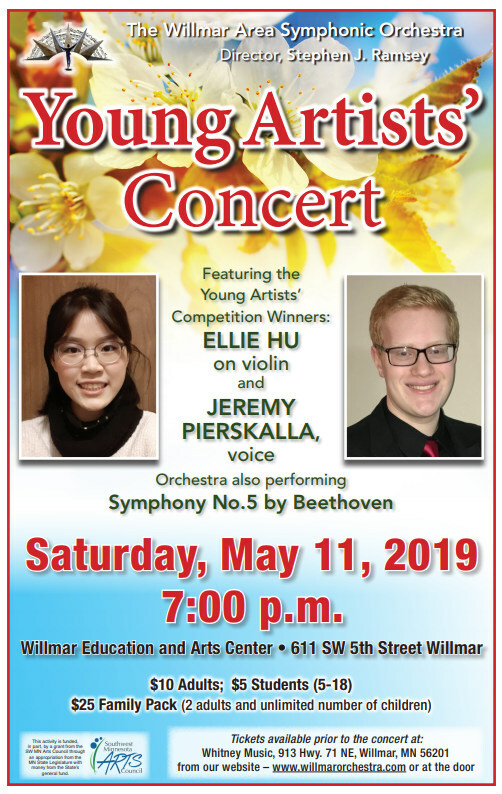 commemorate the events of 1914-1918 with two works created during and in memory of World War I.
Willmar Area Symphonic Orchestra announces our new conductor. 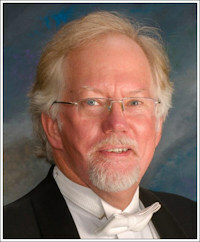 Stephen J. Ramsey (Music Director/Conductor) is the founding music director of the Dakota Valley Symphony. He is in his 31 st season conducting the Symphony and the Summer Pops Orchestra. He is also in his 23rd season as Music director/Conductor of the Austin Symphony Orchestra of Austin, Minnesota. After assisting James Riccardo on several occasions with his duties as the founding music director of the University of Minnesota Health Sciences Orchestra, Ramsey has been pleased to serve as its music director for the past six years. A well-known conductor in the Minneapolis-St. Paul area, Ramsey has led performances at many area colleges, concert halls and churches. He has served as music director and conductor for Lakeshore Players and Applause Community Theater. He has held the positions of Director of Ensembles for Hamline University and Conducting Associate for the St. Paul Civic Symphony. At various times, he has also been the music director for productions by Chimera Theater, Anoka-Ramsey Community College, and the Minneapolis Jewish Community Center’s Chamber Orchestra, mixed chorus, women’s chorus, and their Genesis Theater Company. Ramsey is an active guest conductor throughout the upper Midwest, and has led the Greater Grand Forks Symphony Orchestra, the Bloomington Symphony, the Minnesota Youth Symphonies, the St. Paul Jewish Community Center Orchestra, Kenwood Symphony Orchestra, Linden Hills Chamber Orchestra, the Central Chamber Orchestra, the Suburban East High School Orchestra Festival, and the Des Moines Junior High School Music Festival Orchestra. Ramsey holds a Master of Music degree in orchestral conducting from the University of Missouri-Kansas City Conservatory of Music. He has studied with Leonard Slatkin, William McGlaughlin, Dr. Glenn Block, Dr. Lee Humphries, Max Rudolph, Dr. Maurice Jones, Dr. Samuel Jones, Harold Farberman, Kirk Muspratt, Dr. Eph Ehly, and Dr. James Sample. Steve is so very pleased to have the opportunity to serve the members of the Willmar Area Symphonic Orchestra, it’s very active board of directors, and its tremendously supportive audiences. Please welcome him into the Willmar community and tell him what you would like to hear!!! The Willmar Area Symphonic Orchestra is a 501 (C) (3) non profit organization. Your donation is tax deductible.